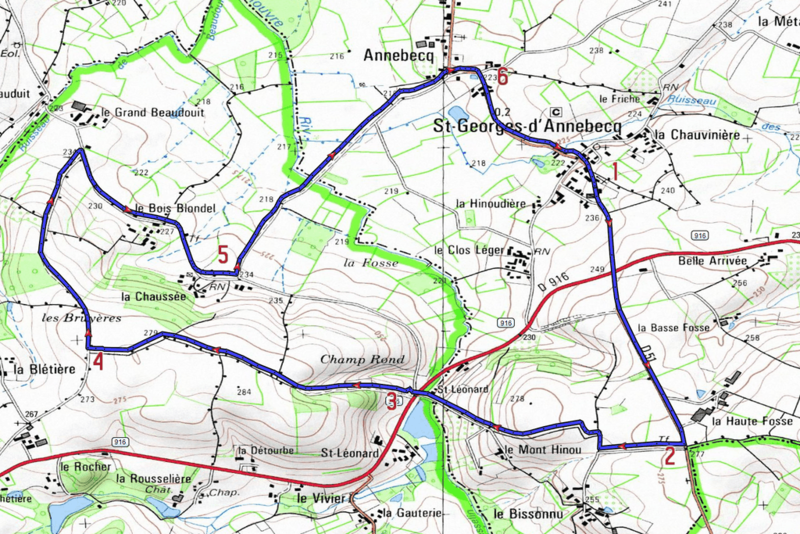 rambling in the Orne "normand bocage"
The landscape around Saint Georges d’Annebecq is a hilly bocage. The bocage has shaped the Norman scenery since the Middle Ages. Meadows and cultivated fields were surrounded by hedges which protected cultures and animals and provided firewood. From 1950 onwards, the expansion of ploughing and the development of cattle breeding led to the extension of fields and the cutting of hedges. Park in the car park of the former school <<Aire de la paix>> near the war memorial. From the car park turn right onto the D51. Carefully cross the D916 heading in the direction of La Chaux.View over 'le pays du Houlme' behind you. After 1km, take the first road on the right towards Bisonnu and take the first path on the right. View of the château de la Rousselière and the bell tower of Beauvain. At the end of the path, go straight on the small metaled road beside St Léonard's pond. Cross the D916 again and straight away take the path on the left. Continue straight in the hollow lane. The path turns into a farm road. Carry straight on for about 100m. Rejoin the hollow lane which can be wet in winter. Follow the path which goes off at an angle to the left and again turns into a farm road. Turn right and go 1.2km. Turn right on the road. Take the 2nd path on the left. 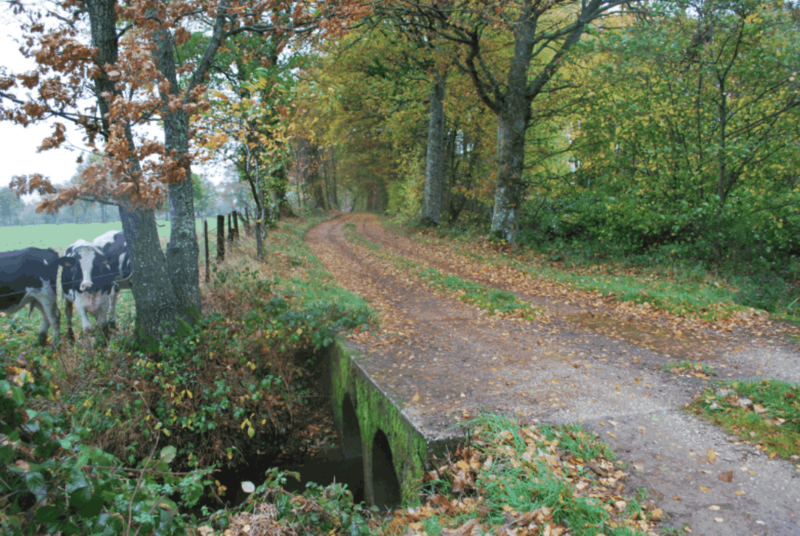 This path is in the hamlet of la Chaussée. At the height of the first path on the left you can see an earth mound on which the feudal castle of Annebecq was built. Continue straight on to the hamlet of Annebecq. At the junction, turn right on the road, then right again. 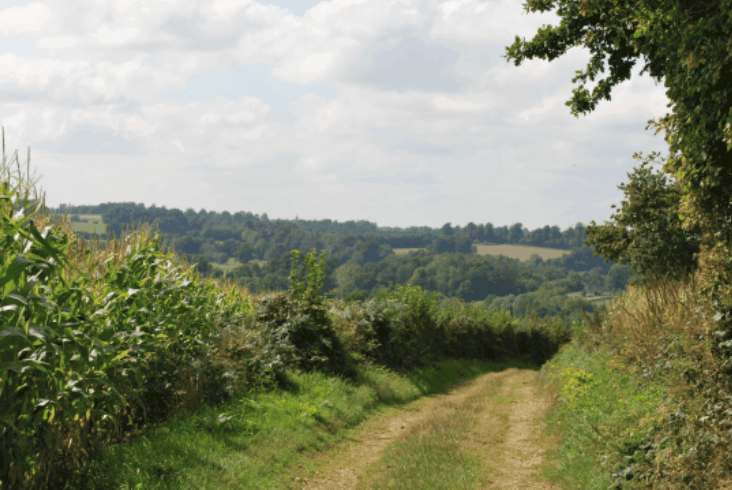 (After about 50m, take the small road on the left for a view of the vestiges of a manor which is about 20 m away). Retrace your steps and turn left. In the village of Saint Georges, go straight on towards La Basse Fosse and return to the car park. This commune was called Asnebec in the 12th century. The origin of this place name is probably Scandinavian(old Norse : bekkr = stream; asni = donkey). For centuries, Asnebec then Annebecq was an important barony equipped with a fortified castle which made up the line of de-fence between Normandy and Maine. The first lord of Saint Georges we know was Roger de Beaumont, a distinguished counsellor of William the Conqueror. 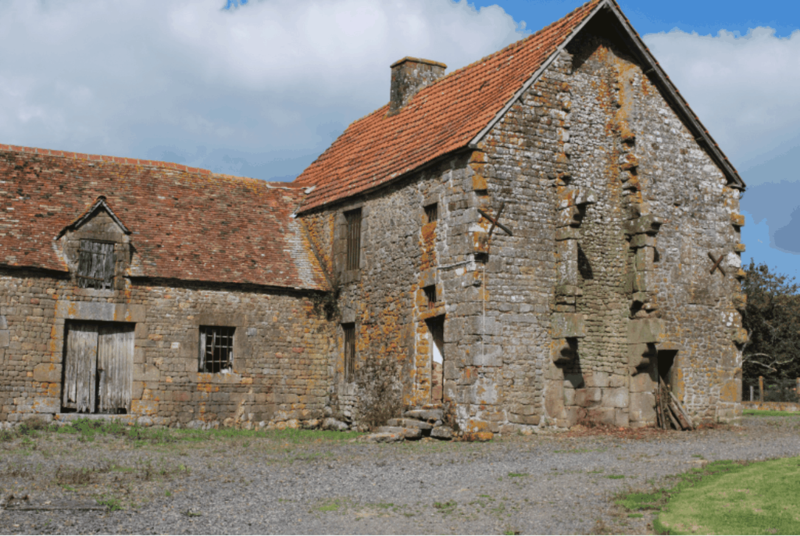 There are few things left from the rich past of Saint Georges which was not situated in the present village but in the hamlet of Annebecq. You can see the site of the eroded feudal mound and Manoir de Frotté. The Rouvre which flows under this bridge is 45 kilometres long. 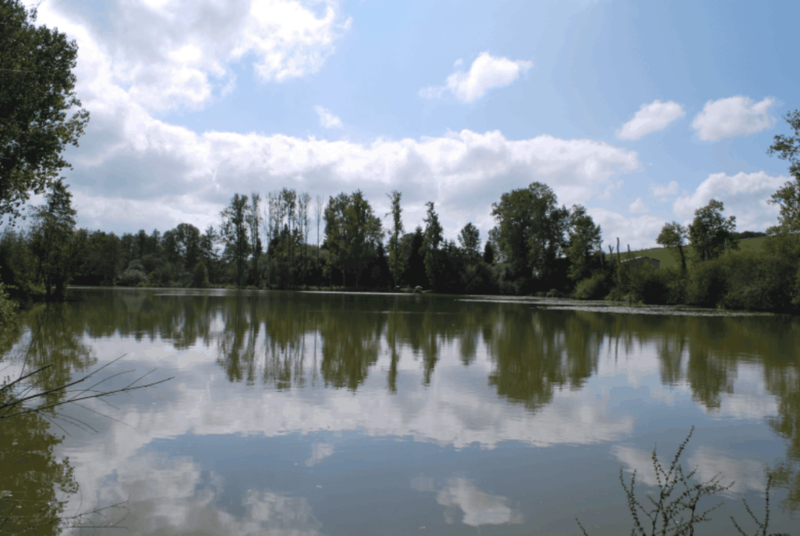 It has its source in Beauvain and runs across the commune. The first village of Annebecq developped at the confluence of the Rouvre and the Rouvreau in the Middle Ages. After running across the Pays du Houlme, the Rouvre flows to Suisse Normande and into river Orne. Near Saint Léonard mere, much appreciated by anglers, there used to be a chapel and there is still a water mill. Any comments you may have which would help us to improve our hikes. Please don't hesitate to pass us your remarks and comments. < here >. © Copyright decouvertebocageornais.fr - Tous droits réservés.